Grease easily builds up in restaurant hoods, flues, and fans which poses a great fire risk. Keeping the kitchen consistently clean is crucial to maintaining a safe operation. The AutoMist system minimizes fire risk every day by keeping the hood, flue, and fan area clean. Hood inspection frequency is dependent on cooking operations. If upon inspection a hood is found dirty, cleaning must occur. With daily automatic cleanings, grease is no longer gradually building up between cleanings and making a mess of the hood system. Do my local authorities approve of the system? Restaurant Technologies provides on-site opportunities for local authorities to become familiar with the AutoMist system. A notification is also sent directly to the Authority Having Jurisdiction (AHJ) near the time of installation. Is a permit required for installation? Restaurant Technologies will send a “Notification of Installation” to the AHJ prior to installation, which in many cases is all that is needed. Restaurant Technologies will work directly with the AHJ, to determine if there are any additional requirements. If any permits are required, Restaurant Technologies will file for the permits and pass the cost onto the customer. What is the required frequency of inspection? Systems serving Solid Fuel Cooking Operations are required to be inspected monthly. Systems serving high-volume cooking operations such as 24 hour cooking or charbroiling are required to be inspected quarterly. Systems serving low-volume cooking such as churches, day camps, seasonal businesses, and senior centers are required to be inspected semi-annually. Is the hood inspected after installation, and does the restaurant receive documentation and an inspection sticker? At the time of installation, the hood will receive an inspection sticker and will be re-inspected 90 days after installation. If the system is unplugged or detergent runs out, is the restaurant out of compliance? There is no regulation requiring the system to run. Compliance to NFPA-96 requires only that the ventilation system be inspected for cleanliness at a defined frequency, and that it be cleaned if found dirty. Restaurant Technologies will inspect the system at the required frequency to ensure compliance. During those inspections, if it is found that the system had not been operating consistently since the prior inspection, Restaurant Technologies will correct the issue so that daily cleaning resumes. Who is responsible for cleaning the filters and exterior areas? The restaurant operator is still required to remove and clean the filters, as well as areas considered to be outside the ventilation system. The filters should be cleaned when the AutoMist system is not scheduled to spray. A sticker indicating spray times is applied to the hood at the time of installation. Are Restaurant Technologies technicians trained to perform the required inspections and cleaning? The AutoMist system eliminates the need to perform manual cleaning on the entire commercial ventilation system. Restaurant Technologies technicians are training to perform inspections in accordance with NFPA 96. Does AutoMist replace the fire suppression system? AutoMist is a hood cleaning system and does not replace the fire suppression system. After inspection who receives a report? NFPA 96 requires that the owner is presented a report that specifies areas that were inaccessible or not cleaned. NFPA 96 also requires that all areas not cleaned must be reported to the AHJ. 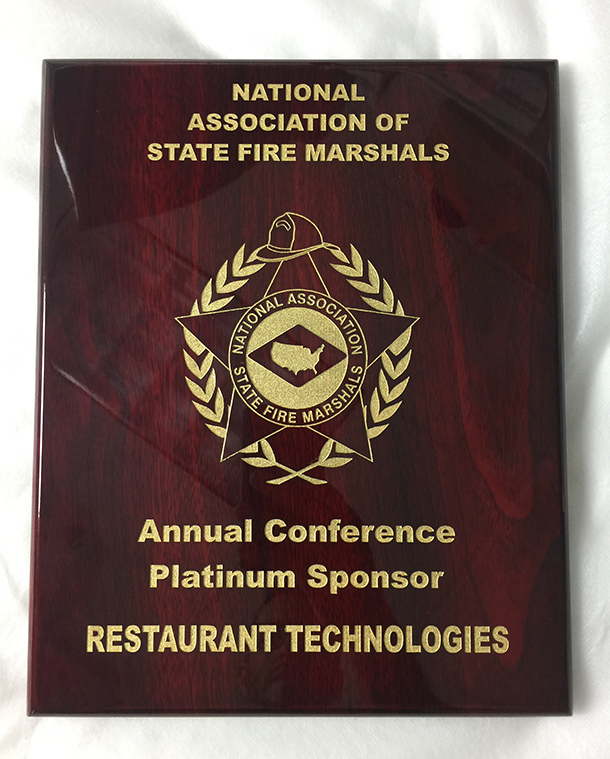 Restaurant Technologies will provide the reports, per NFPA requirements. Is the system “supervised”, and can the system catch up after temporarily being shut off? The system currently is not supervised or capable of doing any off-site reporting. The service and inspection cycle consistent with NFPA 96 does ensure that there is no long-term system shutdown. Typically, the system can catch up and clean the hood successfully after being re-activated because the build-up period was limited. If the system cannot catch up to standards, Restaurant Technologies technicians will use a combination of system activations and manual cleaning to eliminate build-up. Is the AutoMist system “listed” with the hood and fan? While the AutoMist system is listed to the appropriate UL standard, it is not an integral part of the hood and fan units. Where the system transitions into the hood a U.L. listed seal is used.